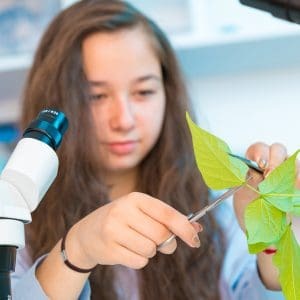 Why Choose Saint Rose for Bachelor of Science in Biology: Adolescence Education? The Science and Education faculty at Saint Rose is deeply committed to the academic and personal success of our pre-service teachers. Our faculty teach both lecture and lab, increasing contact hours between pre-service teachers and faculty. Partnerships exist with local school districts (urban, suburban and rural) that present opportunities for pre-service teachers to volunteer in middle and high schools to observe and assists in Grades 7-12 classrooms. We offer research opportunities with both science and education faculty. A very active student-run science club (Natural Science Association, NSA) provides students interested in science with an opportunity to participate in science activities during weekly meetings. As a student and professional, Andrew has had two great loves—science and teaching—and a path that always returns to Saint Rose. After getting his B.S. here, Andrew went on to an M.A. in science education, and then spent the next decade in front of the classroom: both at the 7th grade level, and back at Saint Rose, teaching Bio 100. 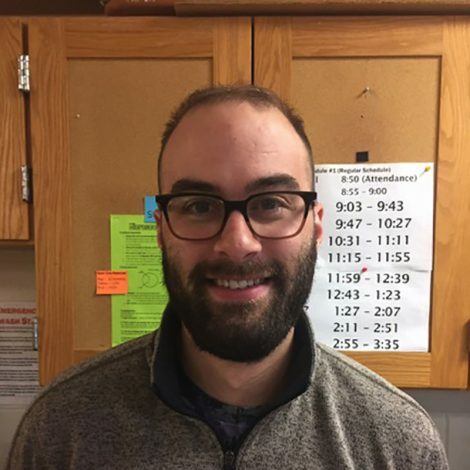 Most recently, he’s been named a NYS Master Teacher, part of an expert community of STEM instructors devoted to the profession and passion of teaching the sciences.